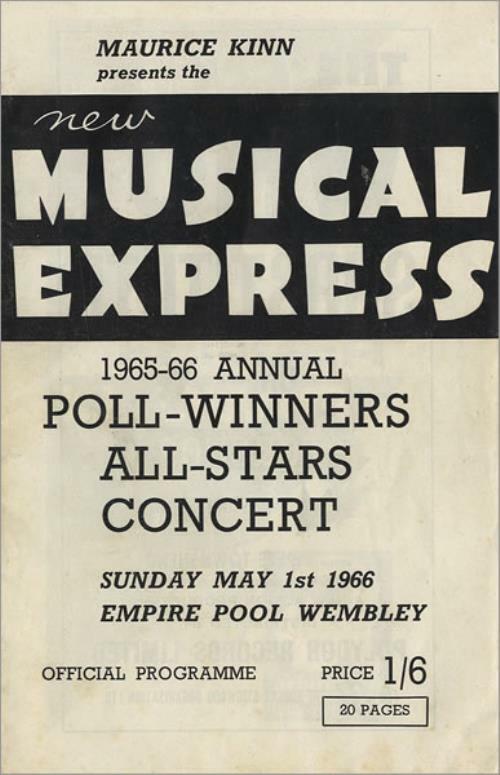 THE BEATLES NME Poll-Winners Concert 1966 (Very rare original 1966 UK 20-page 5�" x 8�" programme for the 1965-66 New Music Express Poll-Winners All-Stars Concert, staged at the Empire Pool, London [now Wembley Arena] on Sunday May 1st. This was the Beatles first live performance of the year and their last ever UK concert appearance! 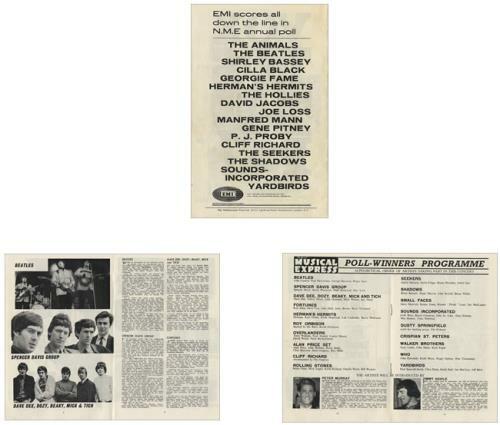 Other artists on the bill included the Spencer Davis Group, Cliff Richard, Rolling Stones, Small Faces, Dusty Springfield, The Who, Yardbirds and Walker Brothers. This item remains in superb condition - all pages are intact and beautifully clean, with just a little faint foxing on the front, no creases, nicks, rips or tears! ).